Air-traffic Controllers. Ship’s Captains. 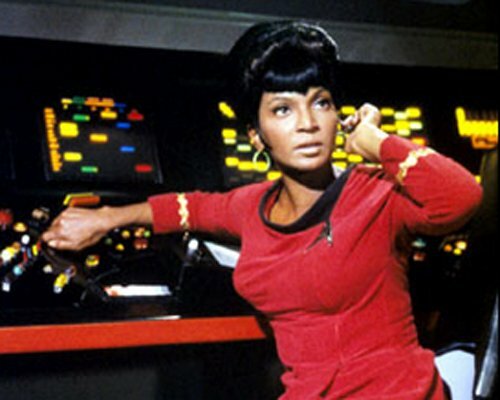 Lieutenant Uhura. The Army. Real Women. We all have them. Some are more high-tech than others. Some are in place to do such high-level activities as guiding astronauts or military maneuvers. Ours, as Real Women, exist to manage our lives and our family. They are: Control Centers. We may not have a full bank of video touch screens and GPS navigational components, and our areas may not be pretty, or especially well organized…nor may any of us look as hot as Uhura did while turning brightly lit buttons. But our Bridges contain the information we need to keep things running smoothly. They contain valuable lists, reminders and schedules that are all necessary to run a tight ship. Usually our Control Centers just naturally get formed in a conveniently common area in our homes. Perhaps on an office desk, on a bedside table, near the front door, or most commonly, on a kitchen counter. Wherever the most planning happens, and the greatest hub of activity is located, that’s where we set up our Command Bridges. This is the spot where we pause every morning to make sure we are all ready for our day ahead, and where we likely leave notes the night before. A Dollar Store trinket from her mother who thought it was cute; she has no idea what to do with it – so it lives in the C.C. Her Center made me consider my own. Actually, I have two. I have one that lives on my home office desk, and it is all various materials related to things that really only I need to be concerned with in our family unit. Writing projects, notes to be sent, bills to be paid, and lots of women-related photos, trinkets and quotes to inspire me. However, my Family Control Center, like my BFF’s, is also set up on the kitchen counter, near the phone and car keys. 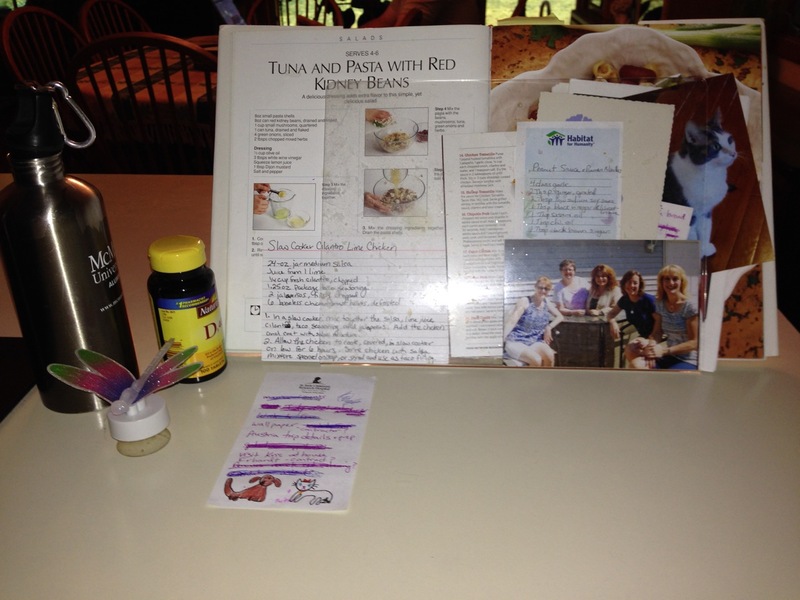 It is not nearly as tidy and organized as my friend’s area, and changes daily…. But for the most part, my Command Bridge includes: a phone on charge, to do lists, grocery lists, notes for my son’s school, a calendar of appointments, the dog’s medicine, coupons to be sorted, a $1 instant win lottery ticket to be claimed, post-it reminders, and items like my husband’s wallet which he left by his chair in the living room and won’t be able to find the next morning – unless I add it to the Control Center. In this day of technology and smart phones, one would think that we R.W’s have all the information we need at our fingertips, no matter where we are. And that is fairly true. We at least can check our e-calendars to know where everyone needs to be, and we can send instant communications to family and friends. But to really keep us on task, we need helpful hand-written notes, reminders, and even trinkets. Could we survive out in the wilds of life if you took away our Command Centers? Sure, we are tough and resilient, and most of us still have enough memory capacity to keep track of important things. But without our Control Hubs, there would be more forgotten lunches, more lost keys, more dead batteries, more wayward trips to the grocery store, and more last-minute take out for dinner. We R.W.’s have enough daily chaos in our lives. Allow us to embrace our inner Uhura and take Control of the Bridge. All we ask for is a scrap of counter space. This entry was posted in Chores, family, Food, friends, home, home chores, housework, Technology and tagged chores, control center, family, family management, information, lists, memory, multi-tasking, preparation, Reality, stress. Bookmark the permalink.